When you need to create a single user in Active Directory Domain Services (AD DS), the tendency is to just "do it" in the GUI - either Active Directory Users and Computers (ADUC) or Active Directory Administrative Center (ADAC). But if you've got 25 users to add, or even 5 users to add, that's just painful. 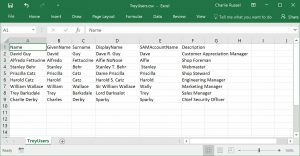 Plus, having this scripted ensures that each user is correctly entered following the same format. 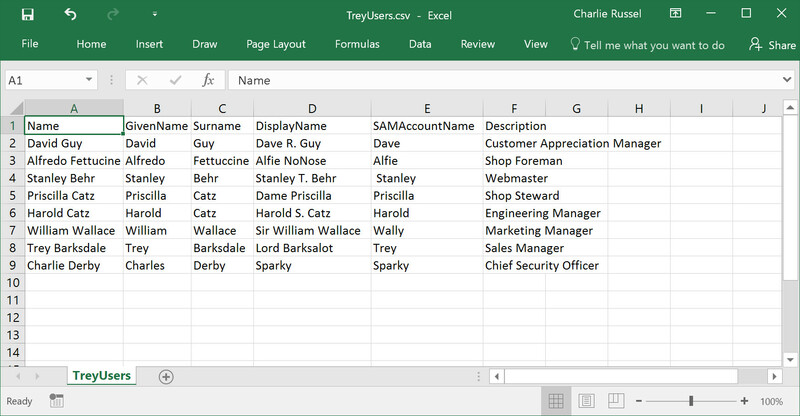 Now, we use PowerShell's Import-CSV to import this set of users into a variable $TreyUsers. ETA: To correct ill-advised use of double-quotes in ConvertTo-SecureString.